If you thought life was good when we brought you Livin' Easy, you'll need to buy an extra hammock to deal with Easy Going. It's just like 'Mom' in every way except color…same glossy foliage, same great flower power, same bushy habit, same great disease resistance. 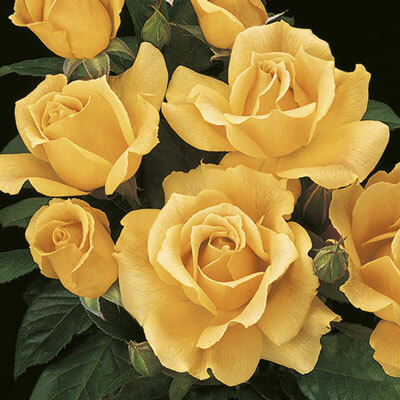 But one color gene has inexplicably dropped out (a 'sport') to give even brighter green foliage and a delectable peachy golden yellow color that holds to the very end. Scrumptious! Consistent in every climate. Great in mass plantings. Only available budded.